Madberry has many indica properties which ensures fast flowering and very compact buds that are covered with trichomes. A highly potent weed and therefore also suitable for medicinal purposes or for the more seasoned smokers. Because of the potency of this weed, there is hardly any habituation and the Madberry will give the right effect with every hit. Madberry is fast growing for an Indica dominant plant which gains a lot of time on the overall growth. The Madberry is for the indica stoned lover that also loves a hint High, this combination creates a reinforcing effect on each other. Madberry has a percentage of about 30% of colored plants, this can vary from pink to darker purple but due to the amount of trichomes the color will look slightly more pink. 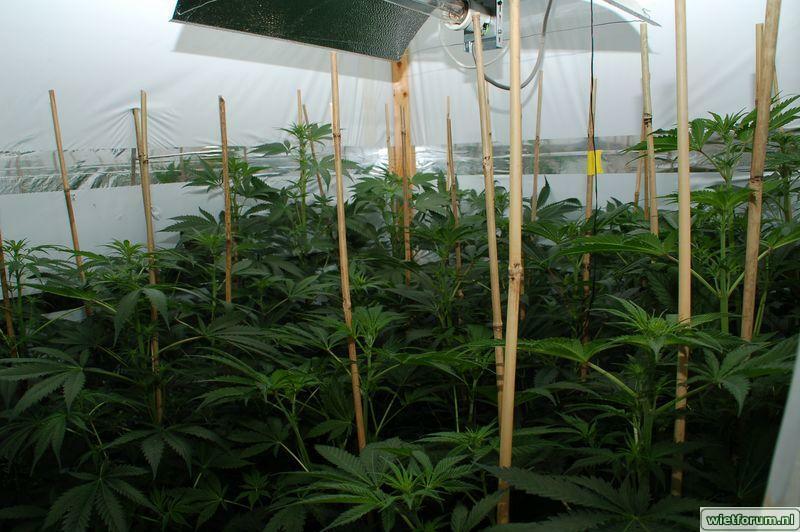 Fast growth and flowering time yet with many benefits of the sativa side which are present in the background. Our Madscientist (White widow X Herijuana) is an indica dominant cross that we have been selling for a longer period of time with only positive feedback. Madscientist is a very powerful strain with a strong effect of heavy stoned and knock out effect, this is good but might be a little too much for some which is why we selected Jackberry as a partner. This combination still has a strong stoned but also a big hint of High which can be a bit too much for more sensitive blowers. Madberry is not for the light smokers among us! Madberry grows relatively low and wide and is easy to control, she grows quickly but after switching from light hours she will show fast flowering phenomena. Keep this into account and make sure you have enough plants ready before adjusting the light schedule. 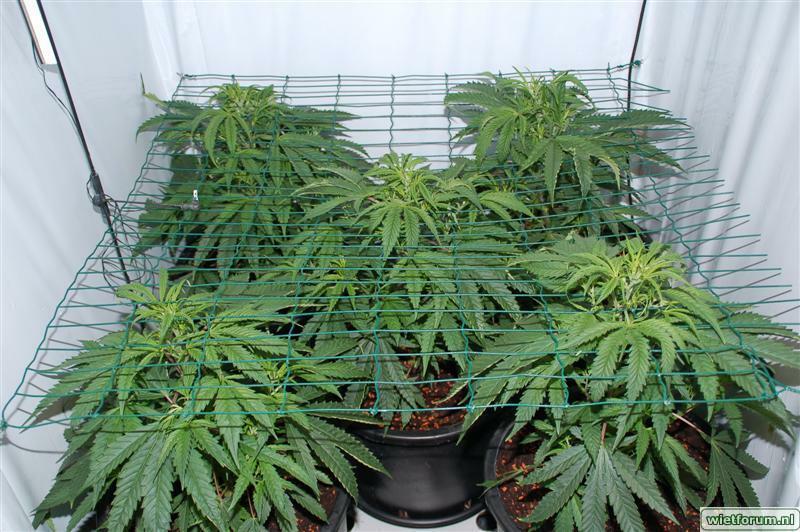 In an SOG (sea or green) setup she can use an extra support net backing the weight of the buds. The bloom sets in easily, so a design with multiple plants is recommended to prevent longer growth times. With 9 plants or more per square meter you ensure yourself a good filling of plants and an optimal harvest. You can find more information below about the best amount of plants to use and how long you should grow them for. 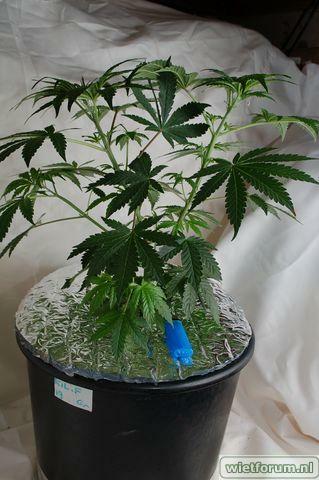 With a maximum bloom of 9 weeks, the Madberry is able to put a good harvest on the scale. Yields of 500 grams on 600 watt lighting is very feasible and with some additional effort a gram per watt is also attainable. Madberry is the perfect middle ground between Sugarpunch and Herijuana but has very rightly so earned her own spot over the years. The narcotic effect of the Madberry is pleasant in the evening before bedtime or as pain relief for multiple ailments. Madberry has helped many of my clients with various conditions. However this is not apparent, the properties of this strain clearly ensure that pain and stress are reduced during use. The madberry is indica dominant which can be sensed in the mouth feeling as well, a strong, slightly expanding smoke will tickle your lungs. The smell of fruity coffee can be noticed in the taste of the smoke when inhaling. A nice smoke which is meant to be enjoyed with ease. Great weed, smelt like ACTUAL blueberries mixed with something sinister, in a good way. Had never had proper blueberry smell before I grew this out. Strong stone and also yielded great and buds were rock hard outdoors too. Great Strain! Out of 6 seeds(all bloomed) I got 4 Pheno types. Grown indoor, all organic, veg'ed for 3 weeks. I got a few with orange hairs, a few with yellow hairs, and one with hardly any hairs and a light lavender color to it and a slightly tighter structure. All of them tend to fall on the Sativa side of things, however the one with lavender color is the heaviest when it comes to high. All are very potent. With all it seems that the indica hits you first and about 20 minutes later the sativa kicks in and your high for hours longer without the heavy, draining feeling indicas tend to give us. I'll will be ordering more and now that I know what to look for regarding phenotype, I be taking some cuts off my favs. AAA+ Smoking gear from this strain. Some plants extremely fast, others extremely tasty and sweet smelling, this strain caters for people who want great tasting, heavy hitting and uplifting daytime smoke with short flowering time. Real gems to be found from both purple and green phenos. Had a fem pack of this growing. 3 of em were pretty slow starters, didn't pack on too much size in the first weeks of veg. Other 2 were vigorious. Had atleast few phenos, one grew totally purple golf-ball shaped buds, not much smell there tho. Then there was not-pruned lady that grew almost 1,4m tall and produced crystal covered purple buds, with very delicious taste. Green phenos smell so good, mix of blueberry and lemon and are covered in chrystals. Oh and they finish very fast. Couldn't resist smoking one of the green phenos after 1 week of cure, and it's just perfect daytime smoke, no paranoia just happines and energetic feeling! The yeild is average. I tried 2 seeds, both plants were sooooo resinous and the high is sooooo strong it's amazing! One is ready at 7,5 weeks, very high and quick yield. Almost no odour which is good for me! but good taste. Awesome strain Sannie! I'm buying another pack and i go further with this strain, i'm sure i will find the perfect phenotype.